There’s no anticipation quite like the anticipation you feel before a much-needed holiday. In April I’m traveling to Mexico on what is to be my first international trip. My previous travel experiences have only ever involved North American destinations. 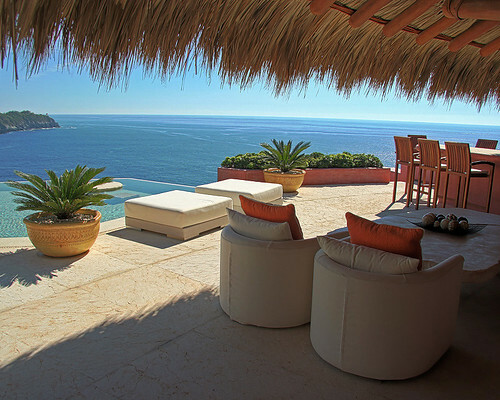 Seven nights and eight days in the Pacific coastal fishing town of Zihuatanejo, staying in a stunning villa overlooking Zihuatanejo Bay, will be nothing short of perfect. It’s not a resort and certainly not all-inclusive, so I’ve got two months to educate myself in basic Spanish. We’ll be a hop, skip and a jump away from the main part of town, so I’m looking forward to integrating myself into Mexican culture each day. Most of the time spent there I hope to be doing not much more than lying on the white sand with a cold drink in my hand, but I’ve got a few things planned. Besides photowalking through “Zihua” – as the locals and regular travelers to the area call it – I’d like to take a genuine Mexican cooking class. Also on the agenda is a visit to a local dolphin sanctuary that offers experiences in the pool with dolphins, interacting and playing with the lovable porpoises. Needless to say, I’m counting down the days to flip flops, sundresses and coconut-scented sunblock. For those of you that have been to Mexico before: what travel advice would you give? Any suggestions of things I should do or must-see attractions? I would take one of those cooking classes with you, if you find one! The “food cart”/street vendor food was awesome. Figure out where the locals eat (not the places catered to tourists) and you’ll find the best food. We had the chance to go on a ‘trip’ where you rented a little 4 wheel ATV thing (I think that’s what they’re called) and you drive them to a completely empty beach that is full of (totally natural) sand dunes. Then you race around. It was fun. Maybe bring a prescription of ciprofloxacin just to be on the safe side. I’m not even sure it’s a prescription drug in Canada, it is in the US… Especially if you’re adventurous with street vendor food. Look for the ones with lines (of locals), they’re usually not only good but you’ll be more likely to avoid food poisoning. Still, having ciprofloxacin can save a vacation, or at least salvage one. The cooking class idea is genius. And no matter what, beach + cold drink +/- a book +/- iPod = so awesome. I thought you’ve traveled to the States? Those would be considered international trips. Go to Sayulita. Amazing beach, great vegetarian tacos EVERYWHERE and one more thing: 1$ Pacifico beer. Aren’t you worried about the recent escalation is violence in mexico ? Looks like an amazing place. I hope u enjoyed it 100%.